We are pleased to introduce our improved service structure from Europe to North America East Coast as from August 2016. 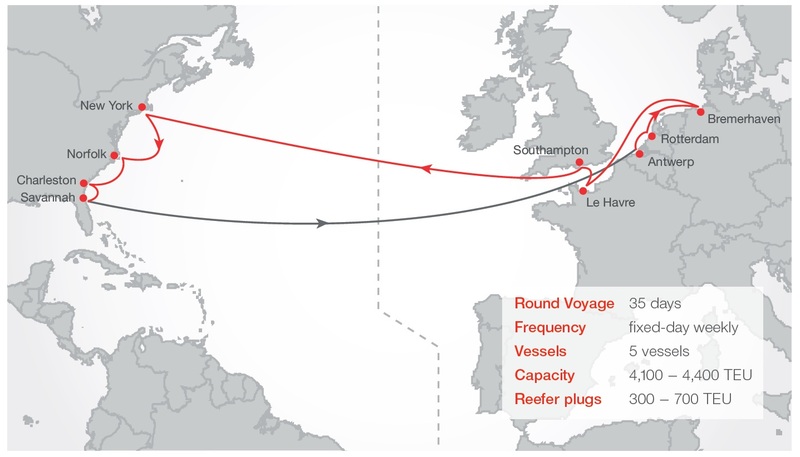 Our newly dedicated transatlantic service continues to be operated at market leading transit times with 5 vessels at 4100 – 4400 TEU nominal capacity. 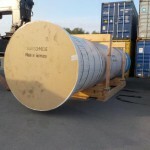 With our fixed day weekly service to main US Eastcoast ports and high coverage of inland locations we offer optimized cargo connections at both ends of the supply chain. Please be advised that PICT terminal in Karachi is experiencing severe congestion due to lower productivity levels as a result of reduced deliveries during the last week of Ramadan and the subsequent long Eid Holidays. The productivity level has reached less than half of the normal and this has given rise to a significant increase in the port congestion that has disrupted normal course of operations. Based on this context, UASC will implement a Port Congestion Surcharge (PCS) on all shipments from/to Karachi effective as of August 1st departure / receiving date. Please do not hesitate to contact your local sales or customer service representative if you require further information or have any queries. OOCL is pleased to announce the enhancement of an existing service between China and Ho Chi Minh/ Laem Chabang (CHL) with wider port coverage. Our current CHL service will be further extended into two loops, the North PRC/South PRC shuttle (service name remains as CHL) and the Central PRC shuttle (CHL3) to include port calls to Inchon, Ningbo and Xiamen respectively. The enhanced services will offer our customers with more comprehensive port connections as well as more competitive transit time between China and Ho Chi Minh/ Laem Chabang. We thank you for your continued business and support. For more information, please contact your local APL representative. Scope: Far East Asia to North America. We are pleased to inform the improvement in our Far East to South East India service. Effective 13 Aug 2016 from Qingdao, we will be upgrading two Chennai Express vessels. 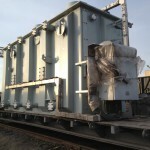 With the upgraded capacity, we offer consistency and improved flexibility in capacity from Far East to South East India. We are pleased to confirm that starting from July, Maersk Line will be introducing changes to our Oceania shipping network with direct North Asia port coverage on the ‘Triple Star’ service and the launch of a new direct service, the ‘South Pacific Express’, connecting New Zealand to key markets on the West Coast of South America. Maersk Line are able to bring these upgraded products to New Zealand as we become the first container line to successfully tie NZ to our global mainline networks. 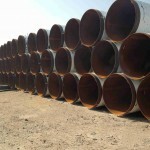 This new service set-up is not based on a traditional closed-loop configuration, which gives us the unique advantage of running import and export calls independently of each other and thereby facilitating a better balance between capacity supply and customer demand. There will be no changes to the current Northern Star and Southern Star services. 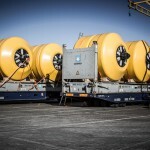 The enhanced Triple Star service will turn the current bi-weekly product into a regular, weekly frequency, while changing away from the present focus on South East Asia to offering fast, direct connections from seven direct port calls across the North Asian region. With ‘best-in-class’ transit times from Southern China, and a competitive product from Korea, Japan, Eastern China and Taiwan, this superior service has been tailor-made to offer Kiwi importers fast and reliable connections in this important trade lane. The first North Asia-direct import sailing will depart Shanghai on 3 July 2016, with the ‘ALM Dallas’ voyage 1619. Northbound export sailings under the new Triple Star are not planned until later in the year. Service details will be announced as soon as they are finalised. The South Pacific Express service is designed to provide our customers a significantly improved product, including market-leading transit times and nonstop access to a range of strategic ports and logistical entry points in Chile, Peru, Panama, Colombia and Mexico. The first South America-direct export sailing will depart Tauranga on 24 July 2016, with the ‘ALM Dallas’ voyage 1619. We will be contacting our customers to discuss these new service options, and how we can best meet your individual shipping requirements. Customers are encouraged to provide timely and accurate VGM data through our efficient and convenient “E-Submission channels” outlined at www.oocl.com under ‘Resource Center’. For manual submission option information please see below. Please consult with our local office representatives in your region for further information. OOCL has published an FAQ and a Reference Guide on OOCL.com. Reminder that VGM weights must include the container tare weight in pounds or kilograms only in the VGM. VGM Cutoff Schedule for Electronic and Manual submissions in the Excel file below. In lieu of customer’s VGM submission, OOCL will accept marine terminal weight as VGM equivalent. OOCL will either use the terminal provided gate weights or use the certified gross cargo weight declared by the Shipper from the rail billing and adding the container tare weight to produce a VGM and submit on behalf of the Shipper. VGM cut will be 1200 day of marine terminal cargo cut for any vessels cutting off at 1600 or later. For those vessels with a marine terminal cargo cut off before 1600, the VGM cutoff will be 1600 the prior day. If the marine terminal cargo cutoff is on a Saturday, Sunday or holiday, the VGM cutoff will be calculated as if the marine terminal cargo cutoff were at 1600 on the prior business day. OOCL encourages electronic submission to avoid potential delays in loading cargo on vessels. VGM cutoff will be 1600 business day prior to the VGM electronic submission date. OOCL will accept manual submissions of VGM to OOCL, however, the only acceptable method for VGM submission will be via the excel spreadsheet below submitted via email. This VGM email account is an automated account to upload data from the excel spreadsheet included below. Any VGM submissions other than those contained in the designated spreadsheet will not be processed. The “Authorized Person” must be entered in ALL CAPS. You will receive an email confirmation that your manual submission was received. Thursday, July 28, is Harry Bridges Day, a U.S. West Coast marine terminal holiday. Please see below for the Holiday gate status at the marine terminals. CMA CGM, COSCO Container Lines, Evergreen Line and Orient Overseas Container Line have signed a Memorandum of Understanding to form a new alliance, the OCEAN Alliance. Subject to regulatory approvals of the competent authorities, the new alliance plans to begin operations in April 2017. Additional information can be found here. Information for export cargo container receiving windows as reported by North America terminals continues to be updated daily on OOCL.com. For the most up to date scheduling information please do refer to our interactive point to point or vessel schedule on www.oocl.com. Truck Power across the USA to perform import store door deliveries and export door pickups is adequate except for certain ports where terminal congestion is causing delays, especially in Oakland. There is a shortage of trucking companies willing to dray hazardous containers. There are no truck power issues in Canada or Mexico. Please see our Truck Power Map on OOCL.com for more information regarding advance timing required for door movements. Improvements with on-dock rail productivity at LBCT Pier E this week helped to ensure intermodal cargo was expedited. 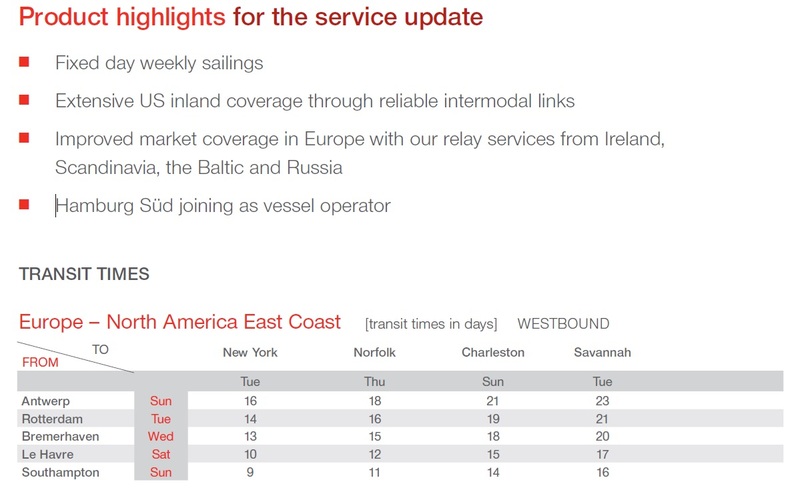 On dock rail service remains on schedule to go live later this month, first with some WB cargo and then EB cargo in early August; although startup will be slow, some OOCL cargo is expected to move on dock as it will be the BNSF initially calling TRAPAC. Global Gateway South (GGS) will have a full service day gate on Saturday, July 30th, 2016. Hours of operation are 08:00 to 16:45. Moderate chassis shortages reported at various terminals/facilities last week. Truck power is adequate in Southern California. Moderately congested last week with long lines of trucks outside the terminal gates. Gate turn times averaged 49 minutes. Chronic yard congestion is compounded by chassis shortages. Dual transactions were shut off early at 2:30pm daily. OICT was low on pool chassis all week. 2-day vessel receiving window for exports. OICT has implemented a $30 per loaded import and export container fee to support weeknight and Saturday gate operations. All loaded containers will be assessed the fee. Trapac operations were severely congested last week. Gate turn times averaged 49 minutes. The terminal is holding a 3-day vessel receiving window for exports. Oakland is short of chassis and truck power; new dispatches are not being accepted for 7 days out. Truck power situation is primarily caused by slow import deliveries, early afternoon restrictions on dual transactions at OICT, and driver waiting time for a bare chassis to become available. Tacoma WUT was operating normally. Gate turn times averaged 25 minutes. The terminal posts an announcement on their web site regarding for which vessel(s) they will receive export cargo the following day. Seattle T-18 was congested. Gate turn times averaged 32 minutes. Seattle-Tacoma is adequate on truck power and equipment supply. This week the CN evacuated an average of 2 eastbound import intermodal trains each day from Deltaport Terminal and has experienced moderate ITM dwelling over the past week. Vanterm Terminal has no OOCL containers at this time. Centerm Terminal is experiencing some very minor dwell times. 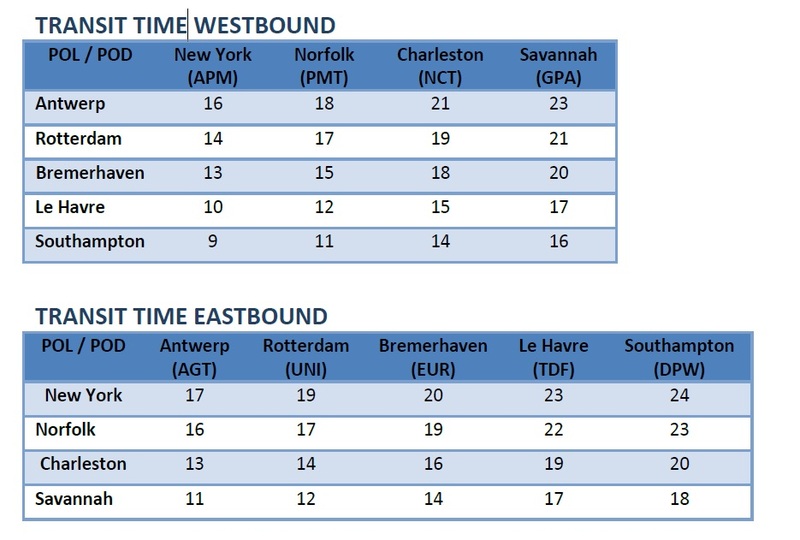 CAST and Termont Terminals experienced some very minor dwell times last week. The terminals remain very fluid with very minor container dwelling issues reported at Ceres Terminal. There are no ITM containers dwelling at Halterm Terminal. In light of the NYX service start-up (July 7th) GCT Bayonne will run four consecutive Sunday gates. They will run on July 10th, 17th, 24th and 31st from 0600-1300. No OOG or reefer will be handled. 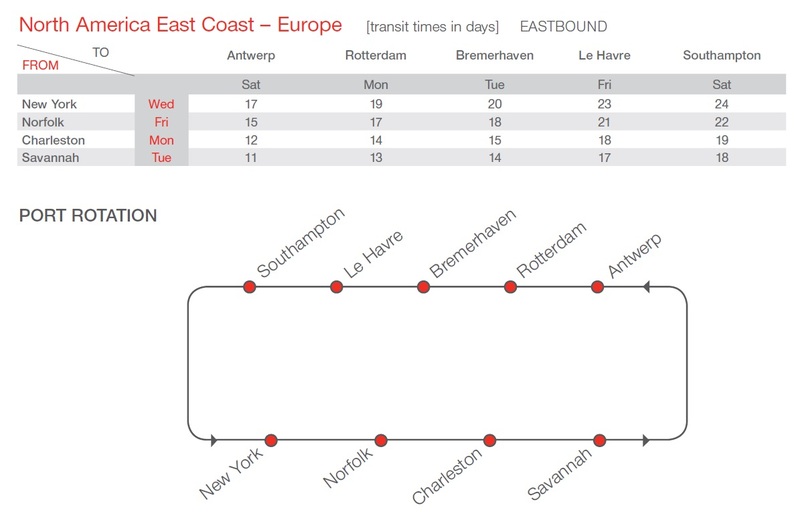 GCT Bayonne Truck Management (Appointment) System – Due to some recent technical issues GCT Bayonne will be delaying implementation of the system from the previously announced dates. They will advise later of new dates for implementation. Truck power lead time is 0-2 days in NYC. Gate turn time at NIT was 41 minutes. Truck power lead time is 0-2 days in Norfolk. Truck power remains adequate throughout the Midwest and Gulf with new dispatches being accepted for 3-4 days out. Equipment supply is adequate throughout both regions. Chassis are adequate throughout the region. Normal operations. Average gate turn times: 45 minutes. New Orleans Napoleon Terminal is operating normally. South Carolina State Ports new gate system is scheduled to start on Aug 13th at the North Charleston Terminal. Truck power for this region remains adequate, standard 1-2 day notice. Maine Terminal operations in both Veracruz and Altamira were normal last week. Equipment in Veracruz and Altamira: 20’ & 40’ GP and 40’ HQ surplus, 40’ RQ adequate. Depot, trucking, and rail services were all normal. CMA CGM is pleased to announce the start of the new Liberty Bridge service connecting the US East Coast with North Europe. The new Liberty Bridge service will replace the existing Vespucci TA service, providing identical port coverage with the rotation outlined below, performed in a total of 35 days.